Visit us on Facebook or Twitter! View a map to our store on Google Maps. Tuesday 9:00 a.m. - 6:00 p.m.
Thursday 9:00 a.m. - 6:00 p.m.
Saturday 7:30 a.m. - 4:30 p.m.
We generally need about a day's notice for orders sent using this contact form or by email. Please call us at +1-519-885-3390 if you need to order on shorter notice! Thanks for your understanding! We ask for your name and e-mail address so that we can respond to you. We treat this information as confidential, and do not disclose it without your permission. See our important notices page for more information. Did you know that we can ship our products across Canada with FedEx? Call us for rates! 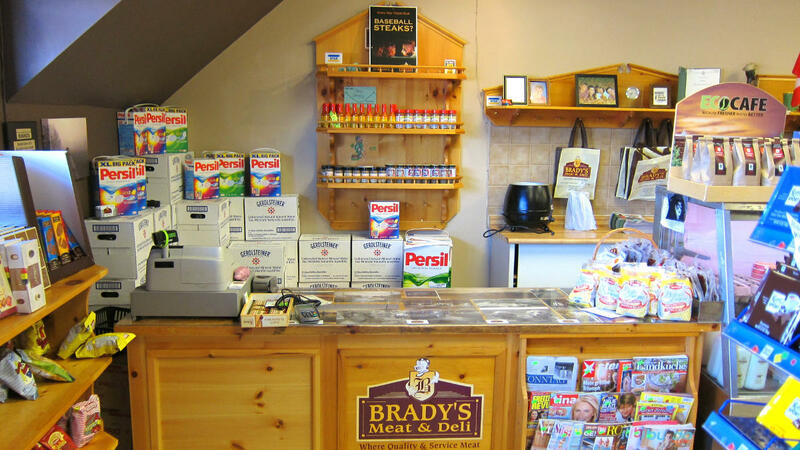 © 2018 Brady's Meats Ltd.